With all that out of the way, however, Jedi Outcast is just a fabulous playground in which to live out your biggest Star Wars fantasies. 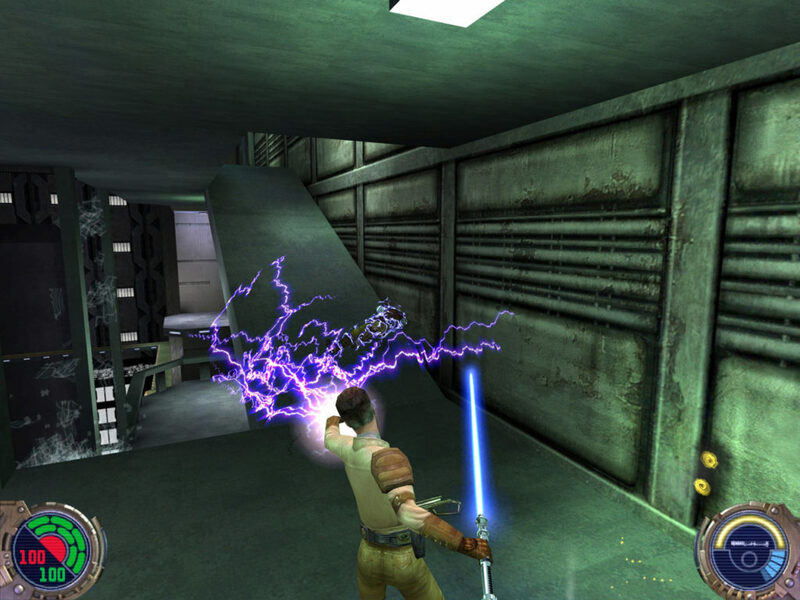 The game begins as a straightforward first-person shooter in the vein of Dark Forces; anyone who picks up Jedi Outcast after playing the Star Wars Battlefront II (2017) campaign will see the clear lineage between the two. 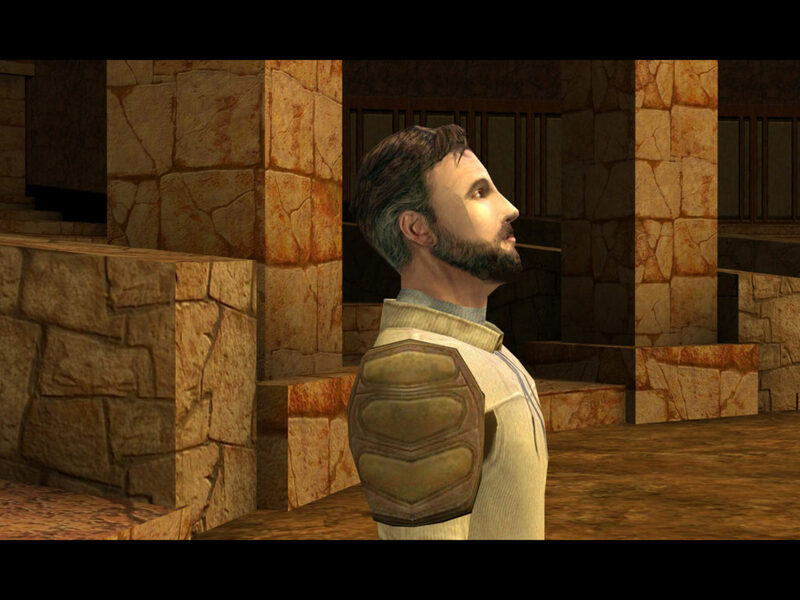 Katarn (Jeff Bennett, who later voiced Revan in BioWare’s Star Wars: The Old Republic) will start out wielding familiar weapons like the E-11 blaster rifle and his trusty K-16 Bryar pistol, his longtime partner Jan Orso (Vanessa Marshall of Hera Syndulla fame) at his side, as they investigate new stirrings within the post-Endor Imperial Remnant.